Bob does not look happy. It must be The Wind. 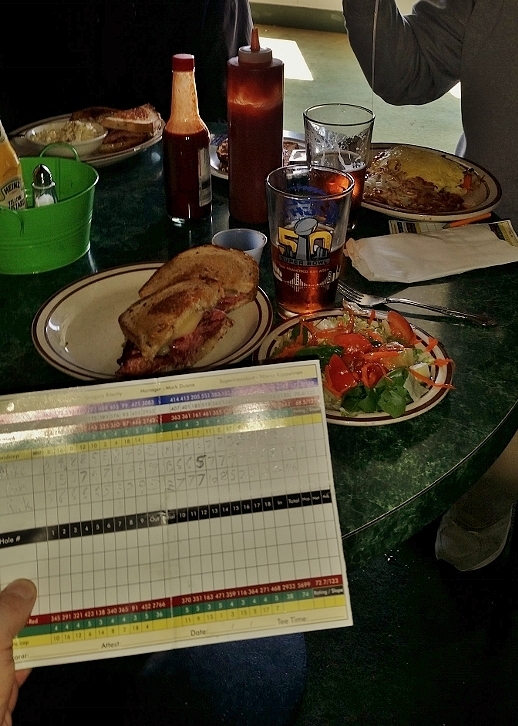 My Reuben tasted at least as good as your beer on 17. I hope Sigrid enjoyed your Reuben. Okay, that's it. I've cropped you both out of the photo.